USIPITWE! DOWNLOAD STATUS ZA RAFIKIZO WHATSAPP KUPITIA APP HII! KUINSTALL BONYEZA HAPA! Sagemcom is a leading European group on the high added-value communicating terminals market (set top boxes, internet boxes, electricity meters, etc.) that is headquartered in France. Group turnover totals €1.8 billion, the headcount of 4,200 employees works in more than 40 countries, of which about 30% in France, and the group has been profitable since it was created. Sagemcom designs, manufactures and ships more than 22 million terminals worldwide every year. 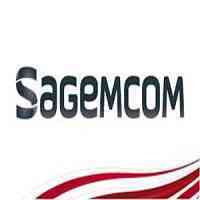 In a context of development and growth of his activity, Sagemcom is looking for a Project Manager. Under the Managing Director, you will be responsible for overseeing our rural electrification projects. ” Monitoring and tracking project progress to ensure high levels of operational efficiency, quality and cost effective management of resources. ” Identifying potential risks, constraints and dependencies over the course of the project and developing mitigation mechanisms to manage such issues effectively. ” Preparation of detailed project plans, activity wise, Identification of all major mile stones of the project and take effective steps to meet the fixed targets. ” Carrying out installation of all the electrical systems and overseeing electrical distribution system on site. ” Preparation of BOQ and further amendment of qty. if required. ” Handling Quality inspection and material verification as per standard. You have at least 2 years’ experience in a similar work. You should have a Master’s degree or equivalent, and a previous experience in rural electrification is a must.